Former White House Chief Strategist Steve Bannon is in for a busy time next week. 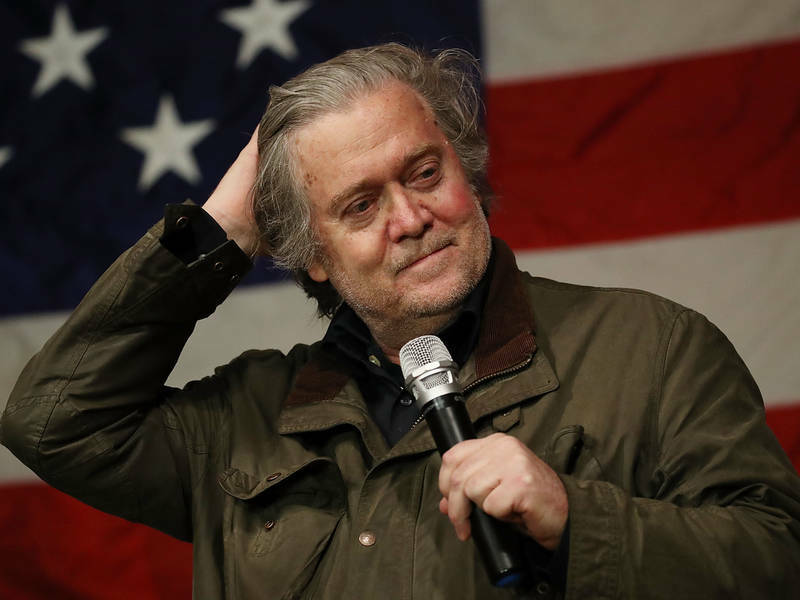 While his former boss’s lawyers are urging their client to refuse an interview with Special Counsel Robert Mueller for fear that the president might accidentally perjure himself, Bannon is finally meeting with the special counsel and the House Intel Committee next week, according to PBS and CNN. According to PBS’s anonymous sources, Bannon is planning to tell investigators “everything he knows. That’s according to two people familiar with Bannon’s interview. The people spoke on condition of anonymity because they were not authorized to speak on the record about details of the interview. One of the people says Bannon plans to tell Mueller “everything” he knows. Bannon is expected to face questions about key events during his time in the White House, including Trump’s firings of former National Security adviser Michael Flynn and former FBI Director James Comey. The confirmation of Bannon’s meeting with Mueller comes as Bannon’s closed-door interview set for Tuesday with the House intelligence committee was postponed.